‘Deluge’ systems are systems in which all sprinklers connected to the water piping system are open, in that the heat sensing operating element is removed, or specifically designed as such. These systems are used for special hazards where rapid fire spread is a concern, as they provide a simultaneous application of water over the entire hazard. They are sometimes installed in personnel egress paths or building openings to slow travel of fire, i.e. openings in a fire-rated wall. Because the heat sensing elements present in the automatic sprinklers have been removed (resulting in open sprinklers), the deluge valve must be opened as signalled by a fire alarm system. The type of fire alarm initiating device is selected mainly based on the hazard, i.e. smoke detectors, heat detectors, or optical flame detectors. The initiation device signals the fire alarm panel, which in turn signals the deluge valve to open. Activation can also be manual, depending on the system goals. Manual activation is usually via an electric or pneumatic fire alarm pull station, which signals the fire alarm panel, which in turn signals the deluge valve to open. Activation of a fire alarm initiating device, or a manual pull station signals the fire alarm panel, which in turn signals the deluge valve to open, allowing water to enter the piping system. Water flows from all sprinklers simultaneously. 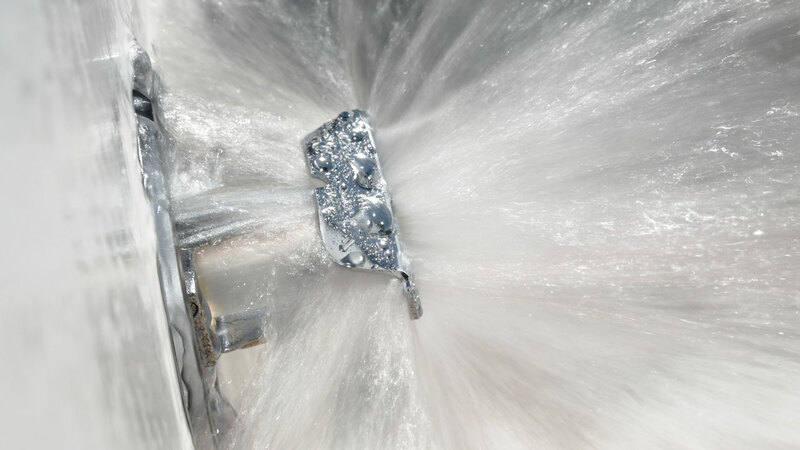 ‘Water spray’ systems are operationally identical to a deluge system, but the piping and discharge nozzle spray patterns are designed to protect a uniquely configured hazard. This is usually three-dimensional components or equipment i.e. as opposed to a deluge system, which is designed to cover the horizontal floor area of a room. The nozzles used may not be listed fire sprinklers, and are usually selected for a specific spray pattern to conform to the three-dimensional nature of the hazard, i.e. typical spray patterns being oval, fan, full circle, narrow jet. Examples of hazards protected by water spray systems are electrical transformers containing oil for cooling or turbo-generator bearings. Water spray systems can also be used externally on the surfaces of tanks containing flammable liquids or gases, (such as hydrogen). Here the water spray is intended to cool the tank and its contents to prevent tank rupture/explosion known as ‘BLEVE’,* and fire spread. * A ‘Boiling Liquid Expanding Vapor Explosion’ is an explosion caused by the rupture of a vessel containing a pressurised liquid above its boiling point.